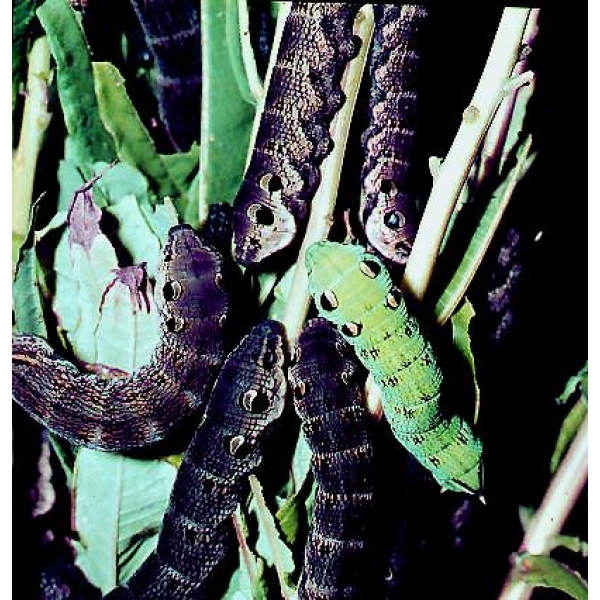 Store dormant pupae cool for the winter. 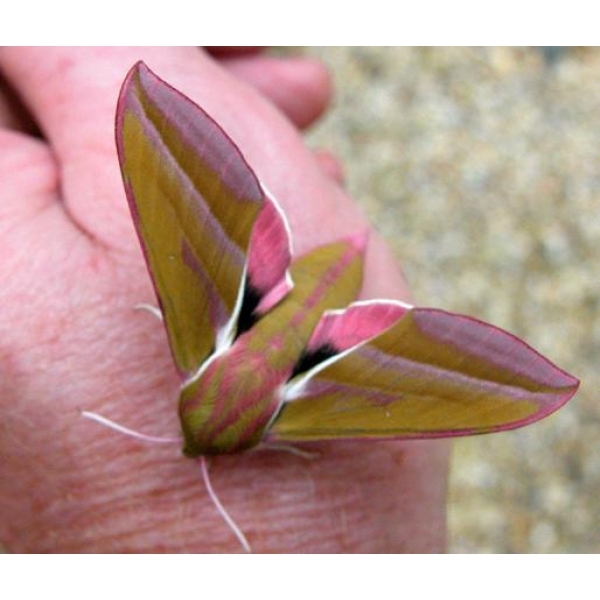 The moths emerge in June/July. 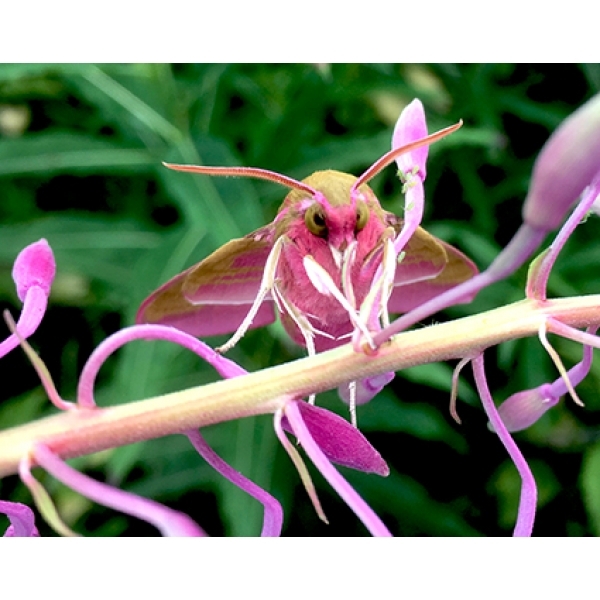 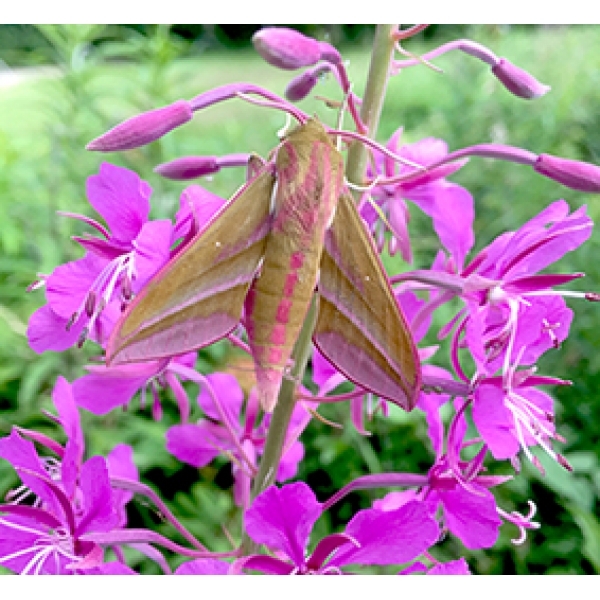 Cage with nectar flowers and springs of Willowherb – you do not see the pairings but fertile eggs are easily obtained. 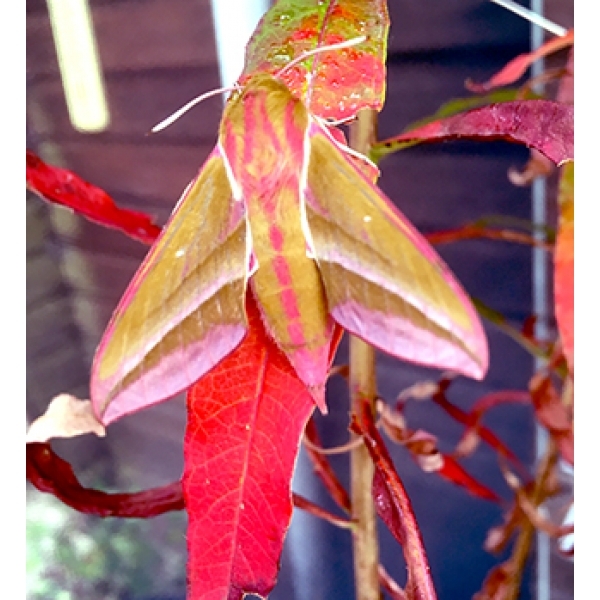 An exceptionally pretty moth with amazing and characterful larvae, with eye-spots and probing “trunks”. 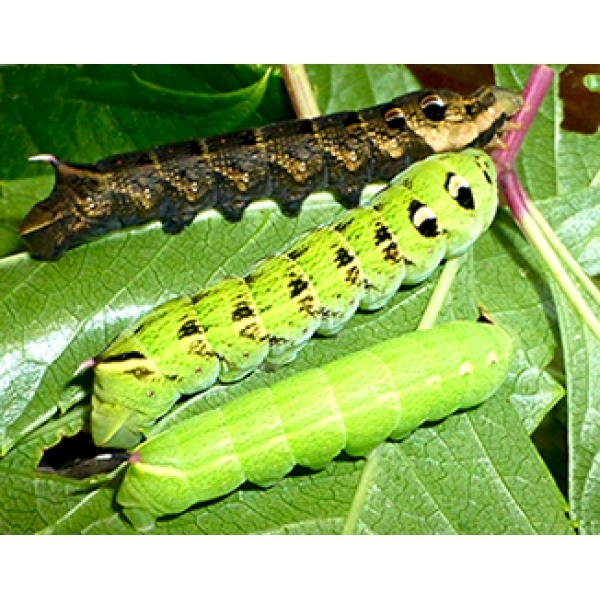 Young larvae are green, later changing to charcoal black, with occasional rarities remaining green. 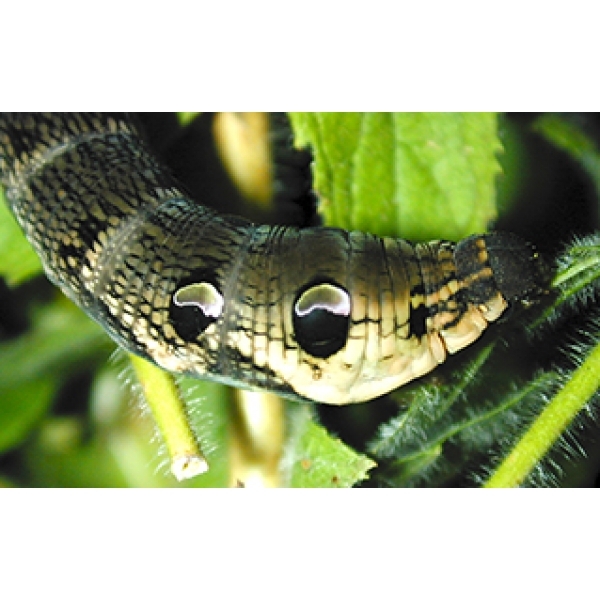 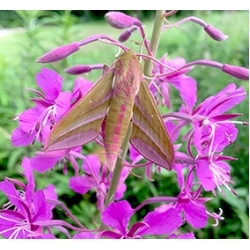 Larvae feed on Willowherbs, Fuschia, Creepers.